With countless shells on the market and new options coming out each year, deciding what ski shell to buy can be difficult for anyone. Our testers tried out five new jackets for the 2018-2019 winter season and tested them numerous days both in-bounds and out-of-bounds to thoroughly assess their performance. The jackets in the test were both men’s and women’s jackets and in total there were four different testers on the team. The shells were tested from January to April in various locations of Montana, Canada, and Utah. The testers used the jackets to ski in-bounds at resorts, backcountry ski, and ice climb in a variety of conditions ranging from warm and sunny to frigid, stormy days. The industry trend continues toward pieces that are as lightweight as possible while still maintaining quality. Most of the shells also have some sort of stretch to them which is a newer trend that helps with comfort and allows good mobility while wearing the jacket. 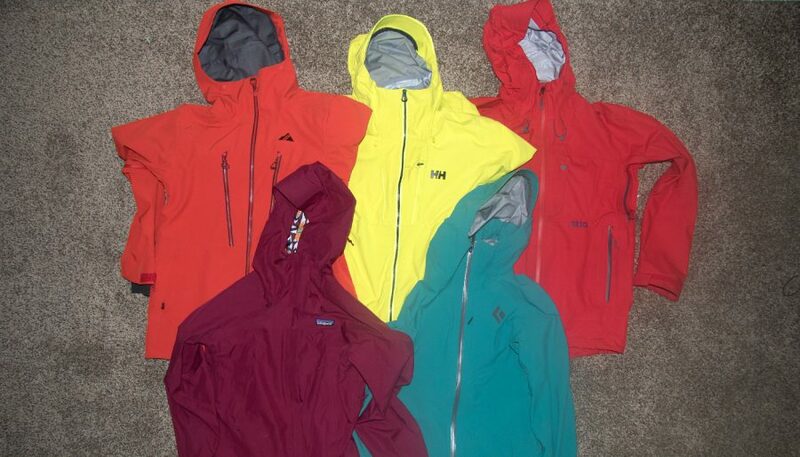 Continue reading below to learn about the five jackets that were tested and which jackets performed the best in each of the five criteria they were evaluated. The Black Diamond Recon Stretch is a well constructed and versatile jacket with a good set of features. Testers were equally pleased with its performance as ski touring jacket and as a resort jacket with additional layers of insulation underneath. The Recon Stretch is both highly breathable and waterproof while remaining highly durable with no significant signs of wear after a season of testing. Testers loved the stretchy face fabric which allows for plenty of mobility. However, some testers complained that it was tight on the hips. The Patagonia Departer is a 2-layer shell jacket that represents Patagonia’s commitment to sustainability by using 100% recycled fabrics. It is waterproof and fairly minimalistic, hence, it is a very lightweight layer. The long cut of the jacket helps to keep snow out but also looks stylish while not sacrificing anything in the way of comfort. It’s a versatile winter shell that won’t break the bank this is a great layer for casual use. 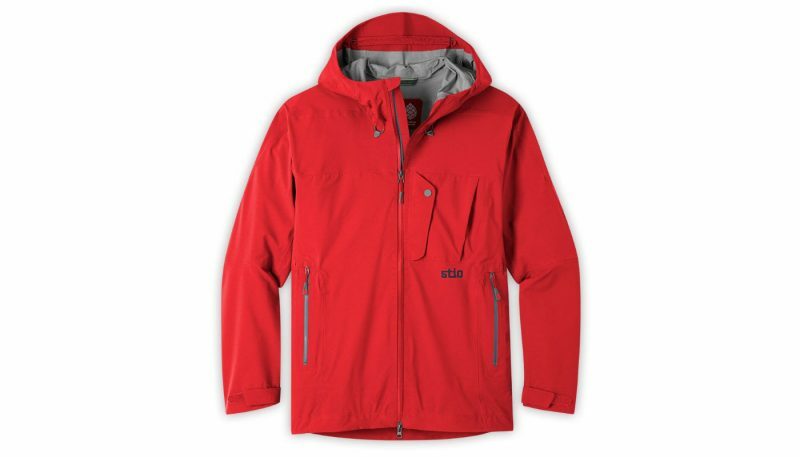 The Stio Raymer Jacket is a lightweight, ultra breathable and waterproof shell, which performs remarkably well in a wide variety of weather conditions. Testers also appreciated the variety of pockets. The stretch waterproof fabric is very comfortable and does not inhibit movement. The Raymer jacket was the only jacket tested without a built in snow skirt. Overall, testers were extremely impressed with the Raymer jacket and tried to push it as far as they could, failing to find any weakness in durability, weatherproofness or comfort. The Helly Hansen Alpha Shell is a durable option for an in bounds shell and offers a long list of features perfect for the weekend warrior. While weatherproofness and breathability were adequate for most adventures, the Alpha shell fell short when the going really got tough and high physical output and heavy precipitation demanded more from the fabric. Overall, the Alpha shell is a great piece for those who demands a lot from their shell on a weekly basis, but not for those breaking any records or counting grams on longer, more sustained alpine pursuits. The Strafe Pyramid jacket has just enough stretch to keep it comfortable in motion and the durability to withstand long days with a pack on. It is fully waterproof, but not as breathable as other jackets tested. It has good pockets but where the Pyramid jacket falls short is primarily on fit with unusually long arms and oversized hood. Overall, testers found the Pyramid jacket to be a middle of the road option at a high price point. For the 2018-2019 winter season, the Best In Class award goes to the Black Diamond Recon Stretch jacket. The runner up, only one point behind, is the Stio Raymer jacket. Both jackets impressed testers with high levels of breathability and quality material. The Black Diamond Recon Stretch scored highly in all categories with only minor complaints for fit as some testers found it to be tight around the hips. 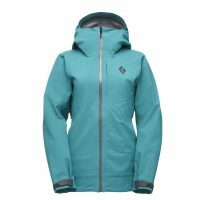 The Stio Raymer blew all the other jackets out of the water with its incredible breathability but lost a few points from a lack of features such as a snow skirt which contributed to a slighter lower score for weatherproofness and features. Overall, testers were impressed by the lineup of shells and didn’t have any major complaints with performance from any of the jackets. The two most expensive jackets ended up scoring lower than other shells mainly due to fit and comfort issues. While all the jackets used high quality materials and were obviously well designed, the winning jackets were additionally well thought out in terms of usability and breathability. A couple of the jackets use Gore-Tex which has long been a staple of the ski shell market, but Dermizax fabric is a newer discovery that surprised testers by its breathability and waterproofness. The Black Diamond Recon Stretch scored the highest for materials with the Stio, Helly Hansen, and Strafe jackets each only one point behind. The Recon Stretch is made out of 3-layer BD.Dry material which is stretchy, breathable and highly weatherproof. Testers were impressed with how flexible the material was and liked how the material felt against the skin, even when only wearing a short sleeve t-shirt underneath. The Stio Raymer is made out of 3-layer Dermizax material which testers also really liked. The Raymer was the lightest jacket tested at only 17 ounces which is pretty incredible for a high quality ski shell. The main factor preventing the Raymer from scoring higher was the fact that at extremely cold temperatures testers noticed the fabric would stiffen up a bit which effected comfort slightly. The Strafe Pyramid uses a 3-layer stretch Polartec Neoshell fabric which testers liked though they noticed that the fabric had more weight to it compared to the other jackets in the test. 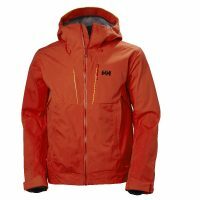 The Helly Hansen Alpha uses a 3-layer Helly Hansen Professional fabric that feels very durable though also a bit on the heavier size. 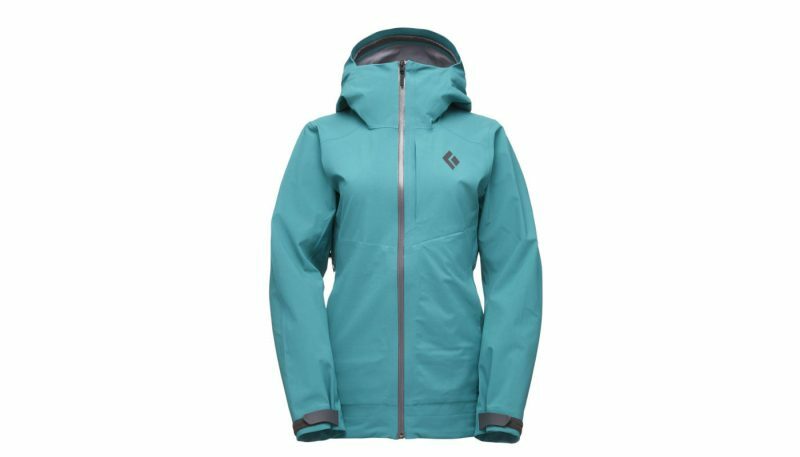 The Patagonia Departer is a 2-layer shell made out of recycled fabric and while extremely lightweight feels more flimsy compared to to other ski shells hence the lower score in this criteria. 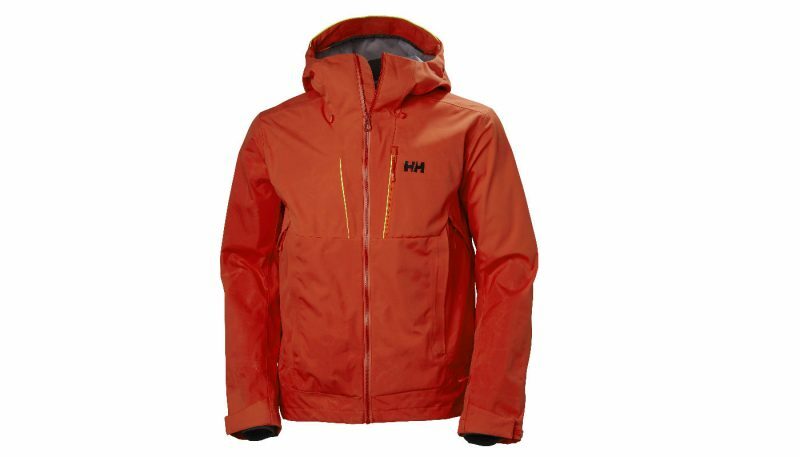 The Helly Hansen Alpha jacket scored the highest for this category since it is packed with more features than any of the other jackets tested. The Alpha jacket has a removable snow skirt and built in wrist gaiters to help keep snow out. It has pit zips located on the side rather than the traditional location underneath the arm making them easier to open though unfortunately testers found they were not as effective for cooling down quickly. The Alpha also has an abundance of pockets including an insulated phone pocket which testers liked a lot, as it kept their phone’s battery from being drained by the cold. The Strafe Pyramid and the Black Diamond Recon Stretch don’t have quite as many features but still have all the essentials that testers were looking for in a ski shell. The Stio Raymer and Patagonia Departer both have fewer features than the other jackets in this test but the upside was that they are also the lightest two jackets tested. 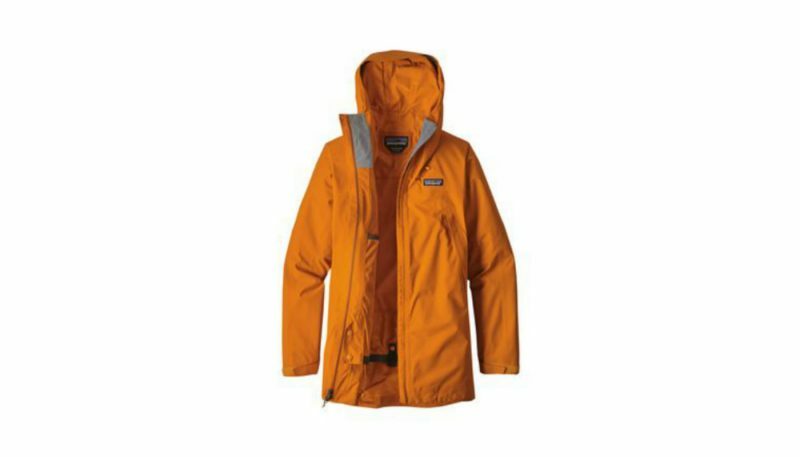 The Stio Raymer has neither a snow skirt nor wrist gaiters while the Patagonia has a snow skirt but it’s not detachable. Of the shells tested, only two of them, the Black Diamond Recon and the Helly Hansen Alpha came equipped with the RECCO reflector system. The Best in Class Black Diamond Stretch Recon Recon scored the highest in weatherproofness out of all the shells in the test. The BD.Dry fabric did a great job keeping snow or water from soaking through and thanks to the powder skirt, no snow snuck in underneath when plowing through powder or during a fall. While most of the other jackets performed as expected, the Strafe Pyramid was noteworthy because of water spotting that showed up on a mid layer indicating that some water soaked through the zipper. The Patagonia Departer also scored a bit lower in this category since it doesn’t have waterproof zippers like the other shells in the test. The Stio Raymer was a clear winner for temperature control with its incredible breathability. Even when doing high output activities such as skinning uphill or ice climbing testers never overheated or felt clammy inside the jacket. The Black Diamond Stretch Recon scored highly in this category since it was also very breathable. The Strafe Pyramid and Patagonia Departer were both breathable though they didn’t impress testers as much as the previous two jackets. The Helly Hansen Alpha jacket lost some points due to its pit zip placements which are centered over the rib cage rather than in the armpits. This prevented the jacket from dumping heat as well, and as a result testers resorted to unzipping the main zipper or even removing the jacket to cool off. For fit and comfort the Patagonia Departer was a clear winner with its long and slightly loose cut which fit all testers well and allowed for plenty of layering underneath. The Stio Raymer was also a good fit for testers though unfortunately the issue of the fabric freezing at really cold temperatures caused a slight decrease in comfort under these conditions. The Black Diamond Recon Stretch had a nice stretch to it which testers liked for mobility but some testers found it to be cut a bit too tight around the hips so a slightly looser cut would be ideal. The Helly Hansen Alpha and the Strafe Pyramid both had some fit issues which made them a little less comfortable. All the ski jackets and pants reviewed are tested by the same five criteria which are materials, features, weatherproofness, temperature control and fit/comfort. All the pieces were tested for multiple days and in different conditions to see how they perform in a variety of situations. Testers do their best to try out every piece on the same day to compare each one in the same conditions and then also on multiple days with conditions ranging from sunny spring days to stormy wintery days to see how they hold up. For the 2018 reviews, testers tried out shell ski jackets in the backcountry, at the resort and while ice climbing with either lightweight base layers underneath for the more physical activities like while on the skin track or with significant insulating layers underneath for laps on the chairlift. The shells were tested primarily from January to April in resorts and the backcountry of Montana, Canada, and Utah. When judging materials, the specifications provided by the brands play a role in determining the rating for this criteria. These specifications tell us what type of waterproofing or exterior coating the jacket may have and then the testers can rate the materials by how well they perform and how lightweight they are. Since testers only have one season to test these pieces, durability is determined in part by any obvious fraying, ripping or other signs of reduced durability in addition to taking note of what type of material the jacket is made out of. The features of a jacket depend on what the intended use of the jacket is but generally for ski shells the manufacturers assume the users are shopping for a lightweight, non-insulated outer layer, so extra features will be kept to a minimum. For this category, testers are rating the jacket based on having enough of the essential features without too many extras that would add unnecessary weight. When designing weatherproofness of a ski shell, manufacturers are usually trying to walk the line between being lightweight and being weather resistant. We tested how successful the jackets are at keeping out the elements by noting certain factors like if the jacket has taped seams, longer hems or wrist gaiters and a snowskirt. While skiing on stormy or even rainy days, testers note if any water soaks through anywhere. 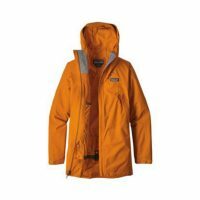 The temperature control of a jacket is also based on the specifications that the manufacturer provides. Shell ski jackets are rated primarily at how well they do for breathability and retaining warmth when not moving versus how quickly you can dump heat during high output activities such as skinning or hiking uphill. Lastly, the criteria of fit and comfort is fairly subjective, but having multiple testers use the product somewhat reduces the subjectivity. Factors that play a role here include the materials used, the cut and if the sizing is consistent. 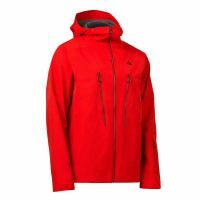 We also consider the intended use of the jacket say between targeting a casual weekend skier or a charging ski mountaineer. How a jacket looks is often an important part of buying clothing, so an additional paragraph was written about each jacket noting the testers opinion on the style of the jacket in conjunction with how good a value the piece seemed in relation to the manufacturer’s listed price. However with style and value being rather subjective and prone to personal preference, we did not provide a scored value and therefore is not part of the overall scoring of each piece. 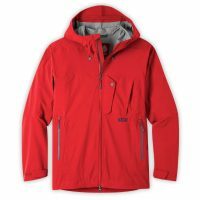 What is a Shell Ski Jacket? A shell jacket is typically a non-insulated, waterproof piece meant to be worn over base and mid layers. The primary appeal to a shell is versatility, in that a shell can allow the wearer to customize their insulating base and mid layers to fit the conditions, opting for more/heavier layers in cold weather, and being able to quickly shed layers as physical output or ambient air temperature increases. A lightweight waterproof and windproof layer like a shell can be worn in a variety of conditions, not just while skiing. Most ski shells are light enough to also be worn as a rain jacket in summer, so the appeal of such a piece reaches beyond the ski community. All shell jackets have some pockets but usually just enough to carry the essentials like goggles, snacks, layers and beacon in contrast to resort specific jackets which tend to have a plethora of pockets. A helmet compatible hood is almost always found and snow skirts are common though they are usually removable for those that prefer to save the weight. Pit zips are also a frequently included feature to most shells, allowing the user to dump heat quickly without having to completely remove the jacket. Ultimately, without waterproofness, a shell is not a shell. A big focus when shopping for a shell should be on weatherproofness, as warmth and comfort are maintained through layering, while the shell is used to keep the elements out.